B&B Alle Erbe i Verona, Italien : Boka nu! 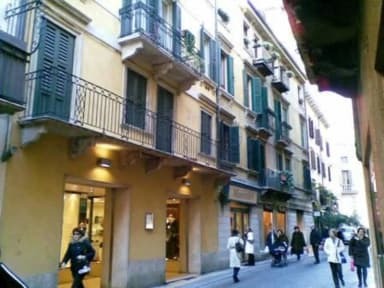 B&B alle Erbe is located in the heart of the city of Verona, a few step from Piazza delle Erbe the ancient Roman Forum. On the first floor of a historic building of Corso Portoni Borsari, just 5 minutes walking from the most important places in the city. 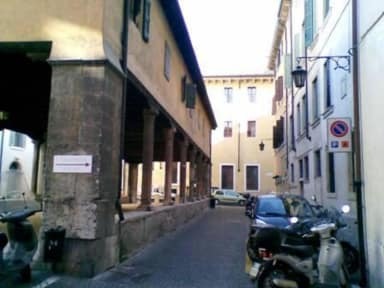 The entrance is by the Court Sgarzarie, the covered square where the guild of wool, in the Middle Ages, 'sgarzava' wool. An exclusive square which hosts several events on summer. Please note that after your booking the Alle Erbe B&B will do a pre-authorization on your card. If the credit card is not valid or not working, the reservation will be cancelled automatically and your deposit won't be refunded. Check in hours are between 13.00 and 20.00. Outside of this time window, we can not guarantee reception of our guests.